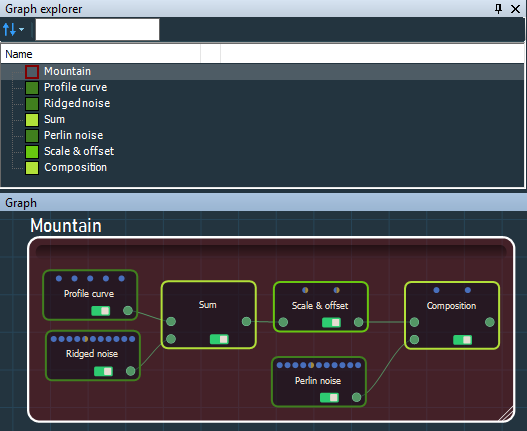 The Graph explorer is where you manage all the nodes and resources used in a project. 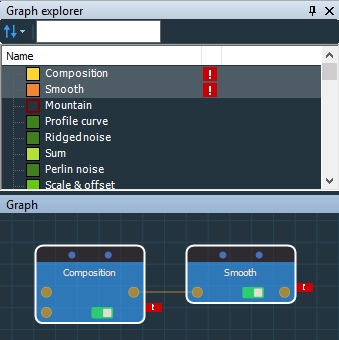 Graph explorer lists the various types of nodes as displayed in the Graph editor and updates in real time when you edit a node. 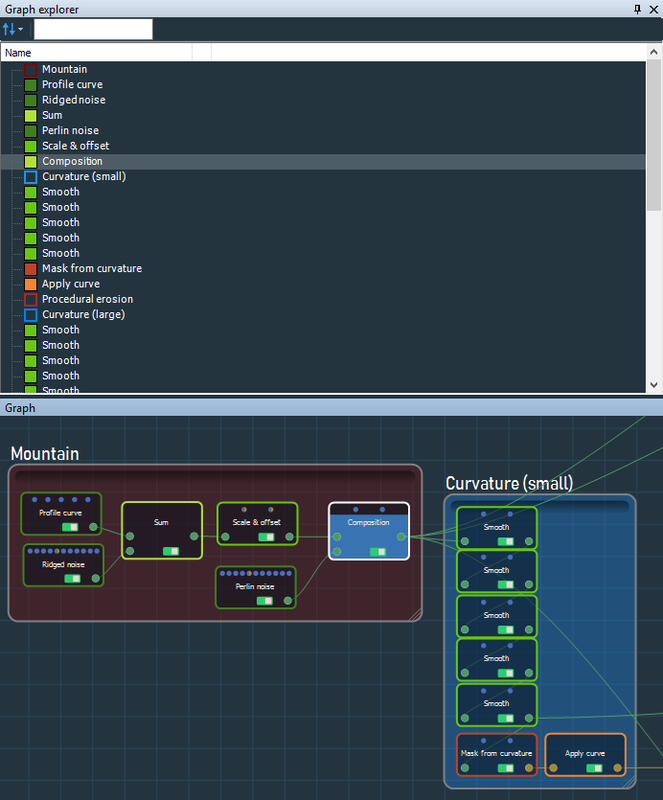 Sort from left to right: Sorts the list of nodes by group as shown from left to right in the Graph editor. This is the default setting. Sort from top to bottom: Sorts the list of nodes by group as shown from top to bottom in the Graph editor. 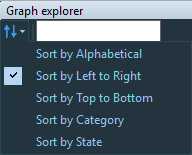 Sort by category: Sorts the list of nodes by node category in the same order as when you right-click on the Graph editor and select a node category. The groups appear at the end of the list. Sort by status: Sorts the list of nodes by status. 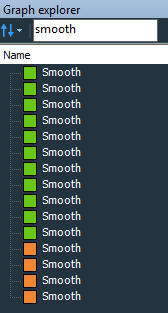 Disabled and invalid nodes appear at the end of the list; otherwise, the list sorts alphabetically. 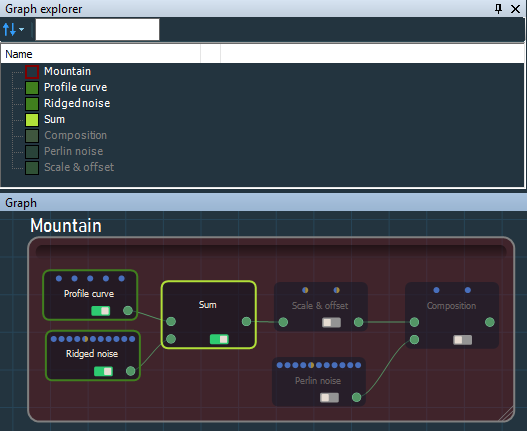 To select a node, simply click on it in the Graph explorer. To copy a selected node or nodes, press Ctrl+C. To paste a selected node or nodes, press Ctrl+V. When linked nodes are copied and pasted, the new nodes are linked in the same way. Note that such nodes may be invalid if they are not linked to input and output nodes, as shown in the example below. 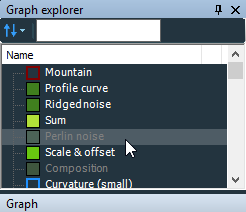 To disable a node (s) in the Graph explorer, press the keyboard shortcut D.
To search the nodes in the Graph explorer, enter a node name in the search field. 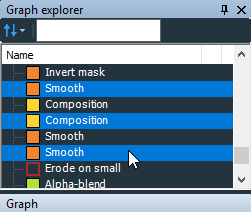 Only the nodes with the corresponding name appear in the Graph explorer. 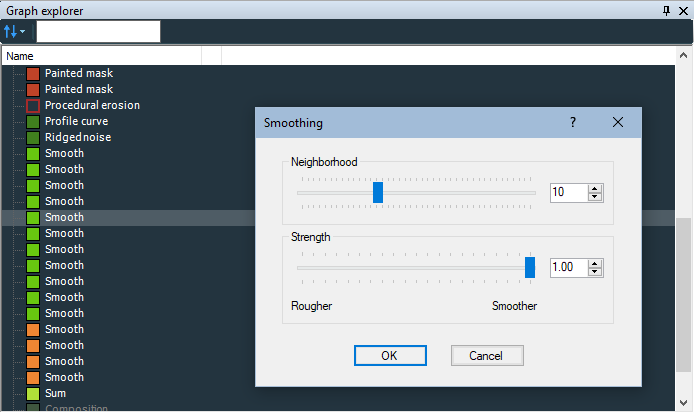 Double click on a node to open its parameters. To rename a node or add comments, press the F2 key. 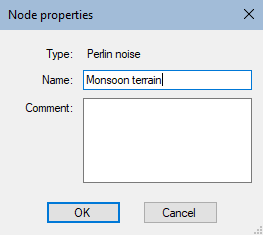 To delete a selected node or nodes, select them and press the Del key.